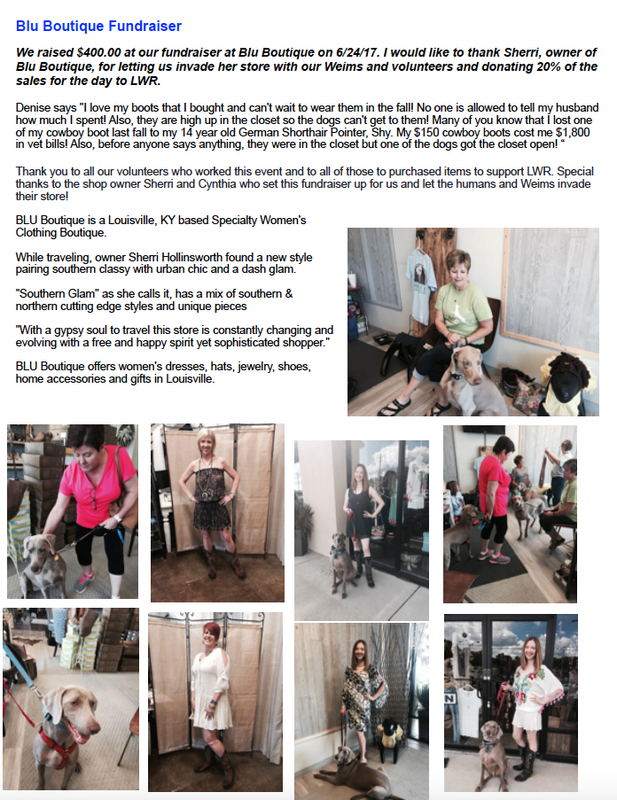 VOLUNTEER APPLICATION | Louisville Weimaraner Rescue Inc. If you choose yes, after submitting this form please go to the foster section and complete the online foster application and volunteer waiver. LWR needs volunteers to drive 40-70 miles to move a Weim from its current location to its foster or adoptive home. A transport coordinator will send out emails requesting volunteers for a certain date, time, and leg. You can respond if you are able to drive one of the legs. Part of the application process to adopt a Weim involves a visit from an LWR representative to the home of a potential adopter to be sure the home is Weim-safe, Weim-ready, and also to meet the family and their pets, if any. Travel involved is usually 25 miles or less one-way. I will make home visits on behalf of LWR in my local area and complete the provided Home Visit Checklist form. I will inquire at shelters in my local area who may work with rescues. I will contact veterinarian clinics in my area to determine if they will offer rescue discounts. I will inquire about boarding/daycare facilities in my local area who may offer discount rates to rescue. Give the name, city, state, and phone number for a personal reference. We would prefer the reference to not be a relative. Please contact your personal reference to notify them that one of our volunteers will be contacting them.